BalletMet's world premiere of Edwaard Liang's "Giselle" opens this weekend. Photo by Jennifer Zumda, Courtesy BalletMet. This weekend features two romantic ballets right on time for Valentine's Day, a mixed repertory program by New York Theatre Ballet including a work by Gemma Bond and plenty of Olympic figure skating featuring our favorite former dancer, Nathan Chen. Ballet West presents Sir Frederic Ashton's Cinderella, opening on February 9, 2018 and running through the 25 at the Capitol Theatre in Salt Lake City, UT. This timeless retelling of the classic fairytale promises lots of sparkly tutus and magical sets. We love this short video promo featuring real-life couple Beckanne Sisk and Chase O'Connell. Tickets can be purchased here. The Standouts of 2017: Adrienne Benz in BalletMet's "Romeo and Juliet"
Benz with David Ward in Edwaard Liang's "Romeo and Juliet." Photo by Jennifer Zmuda, Courtesy BalletMet. Romeo wasn't the only one falling in love during Edwaard Liang's production of Romeo and Juliet at BalletMet last April; those in the audience witnessing retiring company star Adrienne Benz's final performance as Juliet were equally captivated. Benz and Ward. Photo by Jennifer Zmuda, Courtesy BalletMet. The diminutive powerhouse capped her 14-year BalletMet career with a passionate portrayal of the young heroine, one that coursed with the innocence and exuberance of youth. Her combination of adroit acting and assured technique was helped along by her onstage chemistry with her partner David Ward. Together, they were utterly believable as Shakespeare's fabled star-crossed lovers. Plucked from its second company to star as Olga in Tulsa Ballet's 2016 production of Onegin, Tomoka Kawazoe offered the kind of classic story-ballet sweetness that audiences love. Yet the 19-year-old Tokyo native is equally adept in contemporary works. She wowed audiences in Jennifer Archibald's OMENS, displaying a rapid-fire technical fierceness illuminated by her dazzling flexibility. Photo by Erik Tomasson, Courtesy SFB. 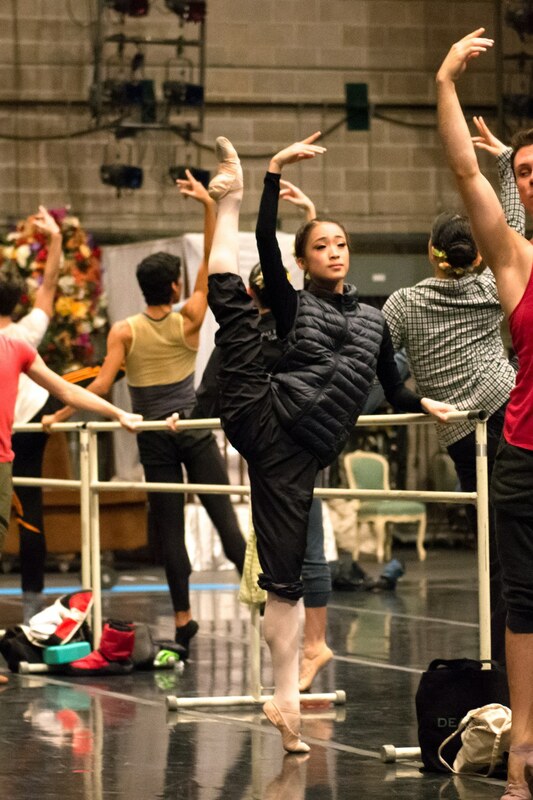 It may be the middle of summer, but San Francisco Ballet is already rehearsing for its spring season. There's a lot to prepare for—the company's Unbound: A Festival of New Works, which runs April 20–May 6, 2018, will feature 12 new ballets by 12 choreographers. 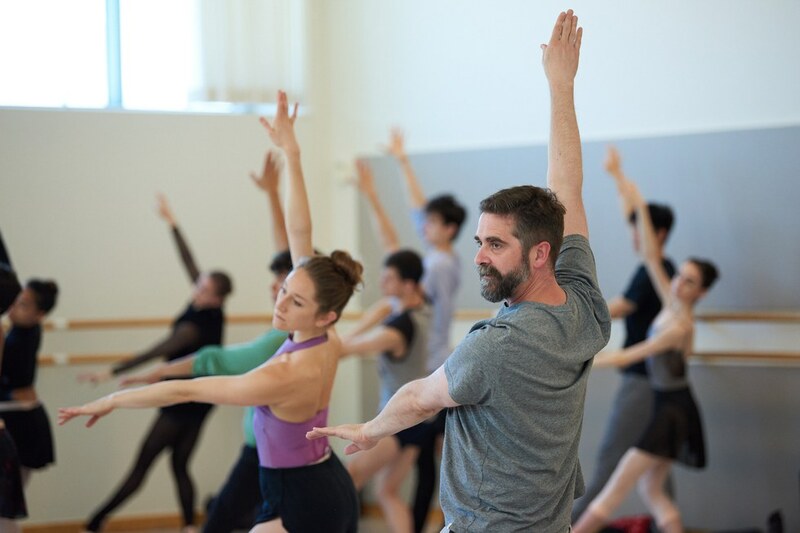 And it's an impressive group of dancemakers: David Dawson, Alonzo King, Edwaard Liang, Annabelle Lopez Ochoa, Cathy Marston, Trey McIntyre, Justin Peck, Arthur Pita, Dwight Rhoden, Myles Thatcher, Stanton Welch and Christopher Wheeldon. That's a lot of choreography to pack in! 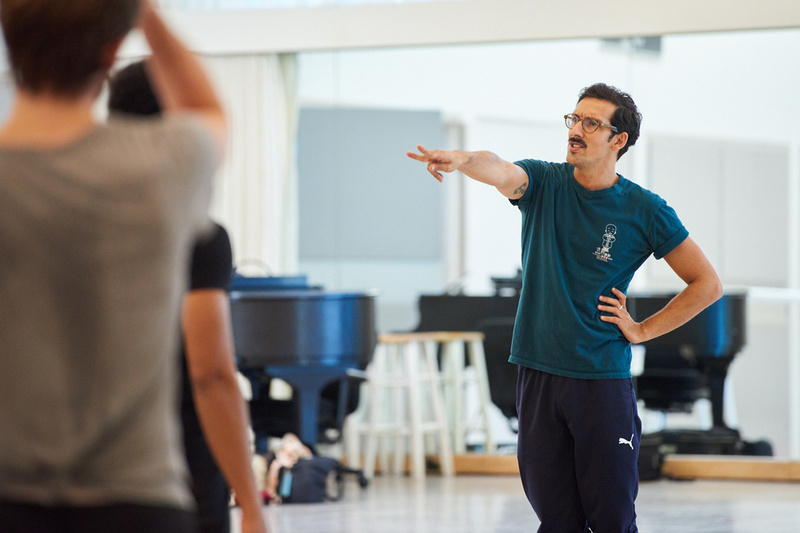 Stanton Welch in rehearsal with San Francisco Ballet. Photo by Erik Tomasson, Courtesy SFB. Luckily, we don't have to wait until spring to get a sneak peek of some of these new works. SFB is kicking off Unbound: LIVE, a series of live-stream events that will take us inside rehearsals. The first one is Wednesday, July 26, at 5:30 pm Pacific Standard Time (8:30 EST). It will highlight rehearsals with Arthur Pita, Edwaard Liang and Stanton Welch. You can expect to see the dancers perform excerpts of their works in progress, as well as interviews with each choreographer. Artur Pita in rehearsal. Photo by Erik Tomasson, Courtesy SFB. Visit SFB's website or its Facebook page tomorrow night to watch. And if you miss it, no worries—it'll be accessible on the company's site and YouTube channel for 60 days. The other live-stream events have yet to be announced, but we'll be sure to keep you posted! Choreographer Alexei Ratmansky will have world premieres on two coasts this winter. On February 10, Miami City Ballet will debut his new one-act version of The Fairy's Kiss to Stravinsky's celebrated score, a homage to Tchaikovsky. The following month, on March 15, at California's Segerstrom Center for the Arts, American Ballet Theatre will premiere his Whipped Cream, a new full-length story ballet to a Richard Strauss libretto and score. Ratmansky has often looked to ballet history for inspiration. Fairy's Kiss, known as Le Baiser de la Fée when it was originally choreographed by Bronislava Nijinska in 1928, has been staged by Sir Frederick Ashton and Sir Kenneth MacMillan, and several times by Balanchine. Its story comes from The Ice-Maiden, a Hans Christian Andersen fairy tale, and Ratmansky has kept the narrative. A young man, about to be married, is bewitched by a fairy's kiss and stolen away from the mortal world. “I asked Alexei for a narrative work, possibly one with a Russian flavor to it," says MCB artistic director Lourdes Lopez. “Our dancers have a very strong dramatic quality and short narrative works are not a large part of our repertoire." Ratmansky had created an earlier version during his tenure at the Bolshoi Ballet; this is a new production with new choreography. Tulsa Ballet Heads Over the Rainbow with Edwaard Liang's New "Dorothy and the Prince of Oz"
Julie Marquet as Glinda the Good Witch. Photo courtesy Tulsa Ballet. Dorothy returns to the Emerald City in Tulsa Ballet's new full-length adventure, tentatively titled Dorothy and the Prince of Oz, running February 10–12, at Tulsa Performing Arts Center. The million-dollar co-production with BalletMet is the centerpiece of Tulsa Ballet's 60th-anniversary season. The ballet is choreographed by BalletMet artistic director Edwaard Liang and is based, in part, on Glinda of Oz, the 14th and final book in L. Frank Baum's Oz series. Liang says the ballet won't follow the familiar tale of Dorothy, Toto and the gang from the popular movie. "Tulsa Ballet artistic director Marcello Angelini and I really wanted to have a dramatic storyline beyond flying monkeys and another witch," Liang says. He and librettist/composer Oliver Peter Graber took creative license to fashion the ballet's tale of romance between Dorothy and the Prince of Oz and create a fable in the Prince's relationship with his fighting parents King Sapphire and Queen Diamond. In Ballet's Competitive Job Market, Can Personal Branding Help You Gain Greater Visibility? New York City Ballet principal dancer Lauren Lovette, a prolific user of Instagram, discovered she had an eager following of aspiring ballerinas while guest teaching at Manhattan Youth Ballet and other summer intensives. “They would come up to me and say, 'I follow you,' " she says. “I realized early on the kind of influence I have on younger girls. Now I like to cater my Instagram that way." Almost by accident, Lovette had built a "brand"—a successful ballerina whose lively photos, sparkling personality and keen fashion sense speak directly to a target audience. 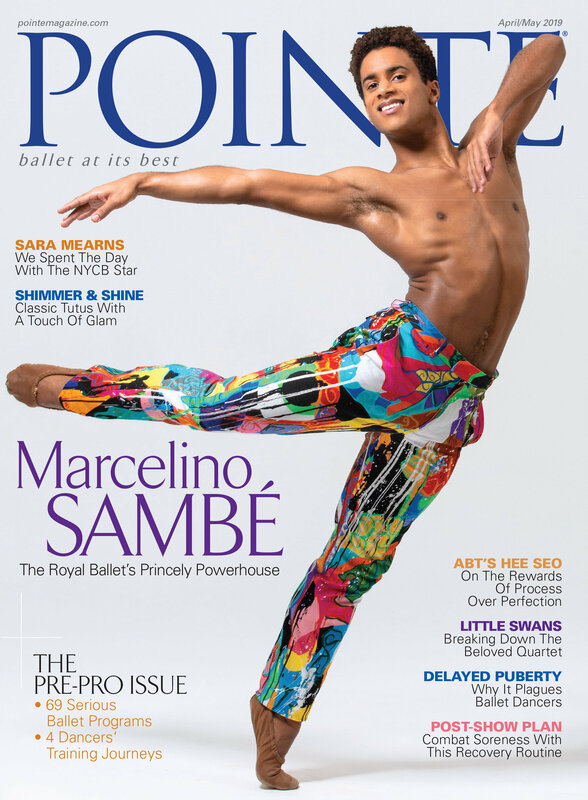 While "dancer as brand" may sound strange or distasteful, it has permeated the ballet world: Think of how American Ballet Theatre principal Misty Copeland has built her empire through social media, a shrewd publicist, television appearances, film and touring with rock star Prince. Now, more dancers are finding ways to market themselves by finding and promoting their unique qualities. Two beloved icons, David Bowie and Queen, are the inspiration behind The Washington Ballet's latest program. As expected, the double bill features a rocking soundtrack, and it will be a spirited send-off to outgoing artistic director Septime Webre. Pointespoke with TWB dancer Sona Kharatian about the company premieres of Trey McIntyre's Mercury Half-Life and Edwaard Liang's Dancing In the Street. What's Edwaard Liang like in the studio? Amazing. He's a very sensitive and spiritual person, so he creates this nurturing atmosphere where you feel like you can be vulnerable and explore things without feeling stupid or insecure. And his partnering choreography is incredible. These works are a departure from classical ballet. Do you feed off that or is it a challenge? We do a little bit of everything at The Washington Ballet. I'm just happy that this is the last big program of the season, so we can really dive in and be grounded because we do use different muscles. Trey's ballet, for example, is very, very athletic. We're basically busting it out for 50 minutes. Tell me about the tap sections in Mercury Half-Life. We're lucky we have a tapper in the company, Daniel Roberge. It was a nice surprise to see one of my colleagues in a new light. Some of the girls, myself included, do backup dances with him--I'd never tapped in my life! We had a lady come in and teach some of the basic steps. I'm still working on them, but it's fun. Since David Bowie passed away earlier this year, does the piece take on any extra meaning? What timing. It's unfortunate about his passing, but I'm happy we're doing it. I feel like I will be giving a tribute, and I'm sure other dancers feel the same way. I grew up listening to Bowie and Queen, so it's pretty special. Want to see the show on May 13? Click here to enter our ticket giveaway! Edwaard Liang. Jennifer Zmuda, Courtesy BalletMet. Newly appointed BalletMet Columbus artistic director Edwaard Liang says he didn't know he wanted the position until it fell into his lap. The 39-year-old internationally known choreographer had just returned from creating a work for Bolshoi Ballet's Svetlana Zakharova in Russia when he received an invitation from the BalletMet executive committee to apply. Though he was reluctant to interview at first, he was soon convinced to throw his hat into the ring, realizing that no matter the outcome, it would be a learning experience at the very least. Edwaard Liang is one of the ballet world’s choreographers du jour. His work appears in the repertoires of The Joffrey Ballet, Kirov Ballet, San Francisco Ballet, Pacific Northwest Ballet, among other top companies. But until now, the former New York City Ballet dancer has only created short abstract contemporary pieces. He’ll test his classical full-length mettle next month with a brand new Romeo and Juliet for Tulsa Ballet. We checked in with him to see how rehearsals are going. How is creating a full-length uniquely challenging? My ballets always have stories, but most of the time it’s just in my mind—I don’t really tell the audience, they can find their own way. In this realm, everyone knows the story, but I still have to tell it, and do so in a seamless way without skipping anything. The magic is that Prokofiev’s score tells everything. All I have to do is follow his genius. What went through your head when Tulsa Ballet director Marcello Angelini first approached you about this project? It’s a big risk for a director to ask a contemporary choreographer to do a pure, classical Romeo and Juliet. In the beginning, I think he had more belief in me than I had in myself. But once I got in the studio I just relied on really characterizing the dancers, making sure I told story and listened to the music. I wouldn’t say it’s easy, but it’s fun and fantastic. How did it feel to work with the classical vocabulary? It made me grow. These are the steps I trained in and grew up with. It was fun to create the variations, the group dances, the village dances—they’re so different from what I’m used to. What about the sword fight scenes? I choreographed those together with master sword fighter Steve White. I trained with him in New York for six months off and on beforehand to learn the basics so that I could understand it with my body. In Tulsa, I gave the trafficking, he built in the fight choreography, then I tweaked that and came up with steps. 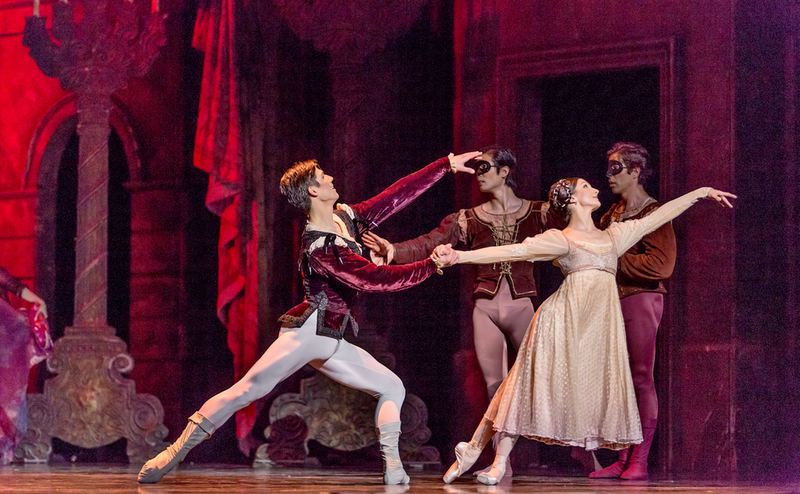 In your opinion, what makes Romeo and Juliet so suited to ballet? You’re not having to fall in love with a swan queen who’s half bird, half human, you’re not a weird peasant who turns into a ghost. It’s clearly about humanity—human emotions and relationships. It’s a universal love story. Tulsa Ballet performs Liang’s Romeo and Juliet February 10–12 at the Tulsa Performing Arts Center. For more info and tickets, visit tulsaballet.org.